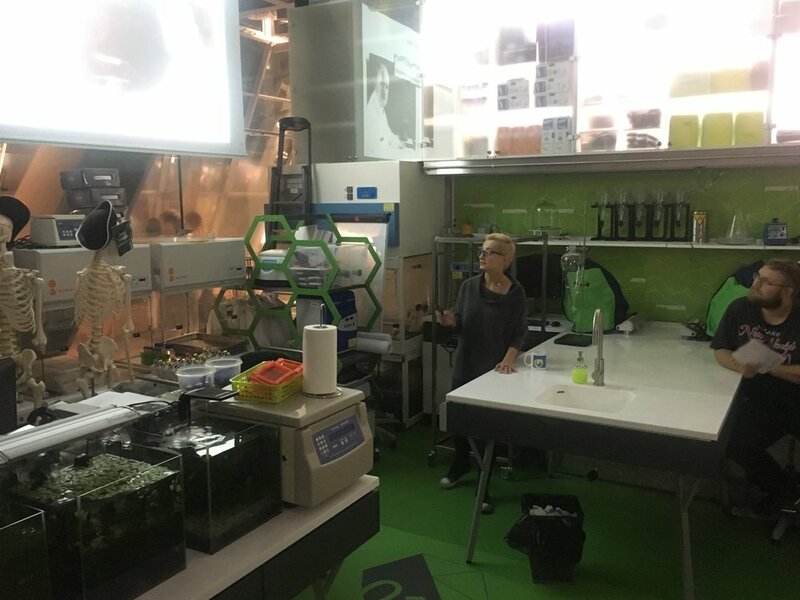 During “Night for grownups” in Copernicus Science Center I had a pleasure to conduct short lecture with Anna Chabuda from BrainTech regarding Brain-Computer Interface. Anna introduced audience to the technical side of those kind of projects and I gave a cultural background and showed how this technology might be used in the future. During my brief euro trip I and Staś visited two remarkable institutions. In Karolinska Institute we talked with Kuba Lewicki who is finishing his PhD in bioprint. He show us his laboratory and w talked about possible collaborations in the area of bioprint. Than in Vienna we met with Maciek Zacek who investigates cohesin, protein responsible for how DNA is packed in the cell. Brain Computer Interfaces. Dive in. 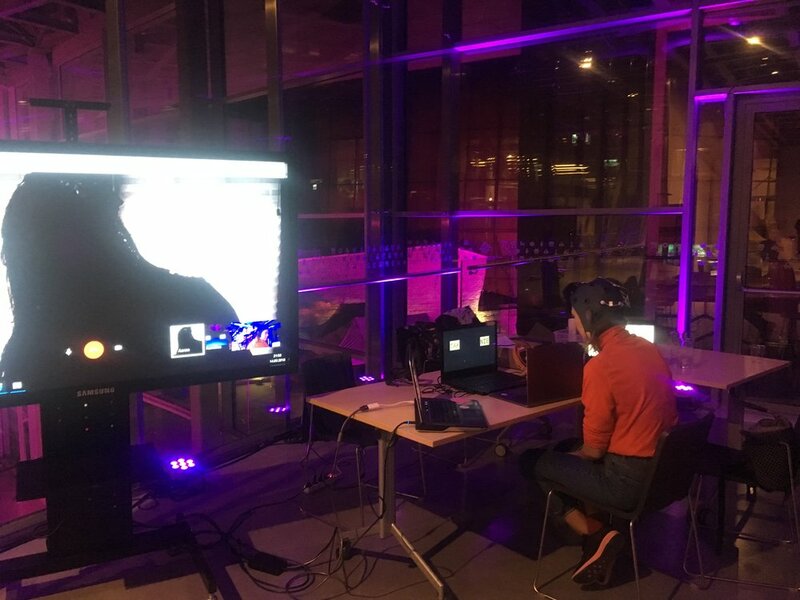 This week (14.09) me and Anna Chabuda from BrainTech took part in online performance with N&N (Aaron Shephard, Johanna Wagner and Audra Bershad Shapiro) during festival Przemiany on Copernicus Science Center. We used EEG waves to answer simple questions. It was quite a challenge to focus while other performers where making sounds. And at 27th of September 2018 me and Anna Chabuda are going to talk during “Evening for grown ups” at Copernicus Science Center about BCI technologies. This is a busy September. Frirst me and Stanisław went to Stockholm for MeConvention. Than straight away we went to ArsElectronica in Linz. I am happy to announce that I am going to investigate and collaborate with Stanisław Łoboziak from Copernicus Science Center and Anna Chabuda from BrainTech. 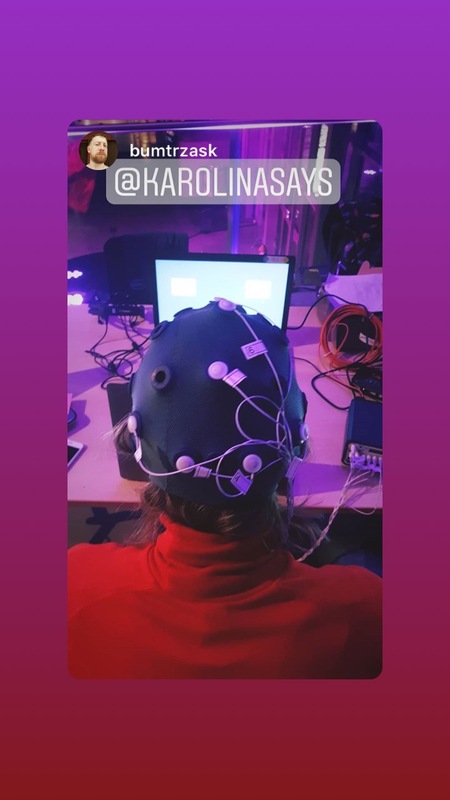 We are going to present EEG based Brain Computer Interfaces developed by BrainTech company during Festival Przemiany at Copernicus Science Center which happens 13-16 September 2018. I am going to be responsible for infographics regarding BCI equipment we are going to present and I am going to be involved in creating new interesting ways of how we can use this kind of tools. Maybe we will make quiz to answer via brain waves activity. There is also probability of making live performance during Festival. I am going to perform and show my work this Saturday (28.07) in Warsaw Botanical Garden during the event called "In bloom". You are all invited. Events and art works are related to the topic of climate change and deforestation of Puszcza Białowieska. After amazing time in Kaszuby, where I was fasting. I visited polish sea village Dębki, where I met with my friend Beata. During our long beach walks we started to pick up garbage left or threw away by sea. We found a lot of surprising garbage, such as wooden brush to clean deck but also mundane as papers, cans, plastic bottles. We thought about social action #widziszpodnies meaning you see you pick, encouragement to clean up after someone and after yourself. This is not original idea but more we talk about it and more we try to follow it is better for all of us, our surroundings and environment. The same relates to using plastic bags (especially those thin ones) for almost everything, single tomato or cucumber I see that a lot around and it seems nobody cares even with huge media coverage of plastic sea disaster. Recently I was thinking about being this psycho who starts accost people in stores and asking them "Do you really need all those items separated into those plastic bags?". But I feel that the only solution is to regulate by law usage of single-use plastics, which Europe did. In April 2018 I had a pleasure to take part in American Arts Incubator workshops lead by artist Amy Karle and . They were happening in Copernicus Science Center.